In June 2007 we commissioned a customer satisfaction survey which was implemented by local company PR Garage. They conducted telephone interviews with our clients from July to October 2007. The feedback revealed that 95% of respondents rated the general service provided by Cravenplan as excellent or good. See below for more details. We are delighted to be in a position where the company is both large enough and successful enough to conduct meaningful reviews of our service. The results show that while we are providing an excellent service for the great majority of our clients, we realise that it takes constant effort to achieve and maintain perfection and we aim to take stock of our strengths and build on the points raised to provide an even better service in the future. Our clients were generally happy to be asked for their feedback. Statistically the highest performing areas were web expertise, with 65% of clients feeling that Cravenplan was excellent at this work and 97% feeling that Cravenplan was excellent or good. In the timekeeping area of service 97% of clients rated Cravenplan as good or excellent and almost 80% of clients reported that the level of service from the company has improved. The only area selected by clients as being less than good was the provision of Search Engine Optimisation Reports. This has now been addressed, and as each client requires a different level of feedback, we have established closer working relationships to ensure that we provide the appropriate information. With only 72% of clients feeling that our administrative timekeeping was excellent or good we restructured our administration team accordingly. 53 clients responded to the question concerning the level of service provided by Cravenplan and we are delighted that 95% have found the service to be excellent or good. 79% of clients felt that the general level of service had improved over the last 12 months. Half of our clients have attended one or more of our free seminars in the past 2-3 years and 91% have found them to be useful or very useful. 97% of clients felt that we are excellent or good at returning phone calls. 89% of clients felt we are excellent or good at performing maintenance tasks on time. 83% of clients felt that our timekeeping is excellent or good when redesigning Websites. 72% of clients felt that we are excellent or good at performing administrative tasks and functions in a timely fashion. 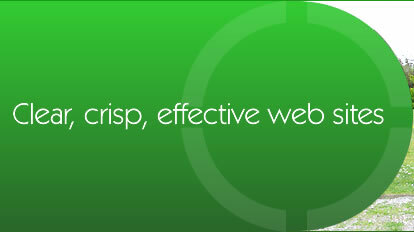 86% of clients felt that we were excellent or good at web design. 85% of clients felt that we were excellent or good at Search Engine Optimisation. 87% of clients felt that we were excellent or good at customer service. 92% of clients felt that we were excellent or good at web expertise. When asked if they would recommend Cravenplan to their friends and associates, 90% overwhelmingly said yes. With the failed takeover by Urban Media, Cravenplan has been revitalised in a brand new format. Chris Stanbury will still head the company with well over thirty years experience in the computer business. Rather than limit our clients to an in-house team of SEO experts, we are now offering the opportunuty to work with the best SEO teams in the South West. Of the 20 companies interested in purchasing Cravenplan - we have chosen those we believe to be the best to assist us with providing a truly flexible and efficient service to our clients.